Technology is getting smarter and, thanks to recent big advances in machine learning, it can now automate many of the functions that used to be performed by humans. Self-healing automation is the next step in this revolution. It refers to applications, devices and systems that can discover system faults or security problems and, without human intervention, make the necessary changes to fix the problem. It’s set to be a game-changer for IT departments that spend huge amounts of time resolving issues and dealing with security threats. The idea that systems could be designed to diagnose and repair themselves can be traced back to the early 2000s, when IBM initiated the term ‘autonomic computing’. Like the name suggests, it was inspired by the human body’s ability to self-heal. As such, this type of automation will become not just a benefit but a necessity when using business systems that are too big and complex for people to manage alone. 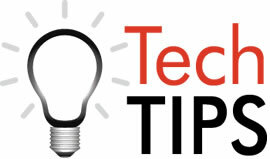 It’s been said – accurately – that every company is now a technology company. Businesses of all sizes need their software, computers and office machines to run efficiently and securely. 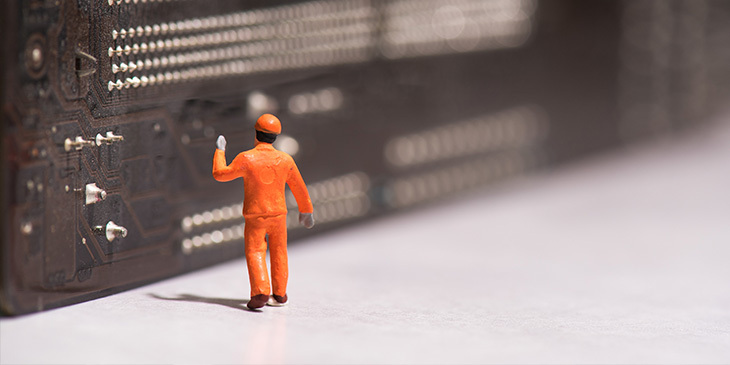 In today’s increasingly connected world, they can’t afford outages that will significantly disrupt customer service. Power utilities are already using self-healing automation to help improve the reliability and stability of electricity services. There will be a growing need for this technology as the country moves towards implementing renewable energy sources, electric cars and the IoT. In the office, self-healing automation is already beginning to play an important role in protecting businesses from malicious security breaches and attacks. Laptops, mobile phones and other networked devices are all potential targets for hackers who want to break into the company’s network. The risk even extends to previously overlooked devices such as multifunction printers, which are powerful computers in their own right. As a result, some of the latest printer models come with self-healing features built in, such as run-time intrusion detection and whitelisting to allow only the loading of approved firmware. Self-healing is particularly suited to virtualized IT environments such as the cloud, where applications and resources can be quickly added and removed as needed. As distributed computing services become more popular, self-healing automation will be critical to making sure they remain reliable, stable and secure. 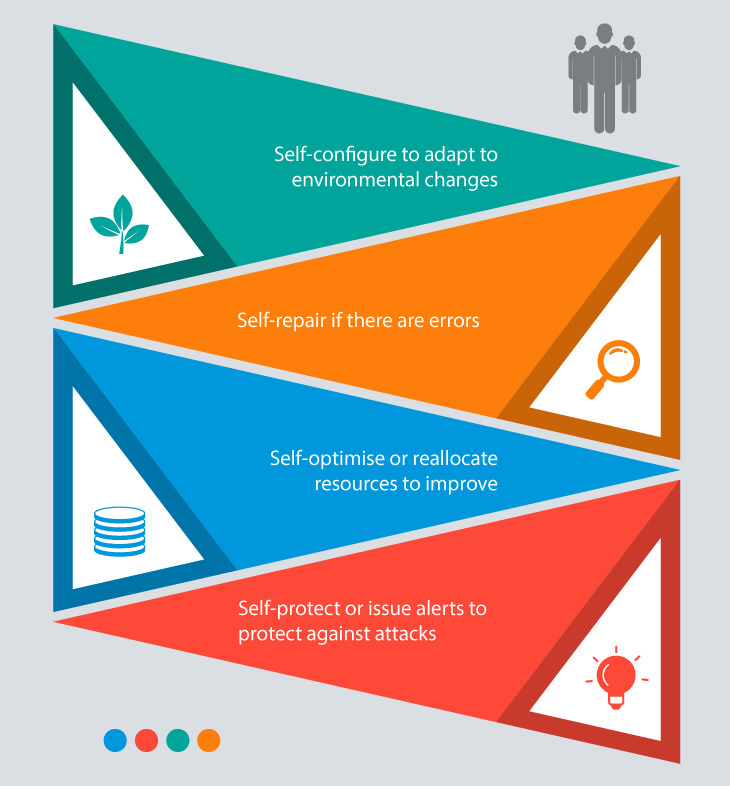 The biggest benefit of self-healing automation is its ability to ‘look ahead’ and shut down problems or attacks before they cause serious loss or disruption. This type of preventative action, however, may require an advanced system of predictive analytics that is able to recognize which problems are serious, and which are simply false alarms. Before investing in self-healing automation, therefore, consider whether it might be enough to simply update your existing software, computers and/or network devices to newer versions. Also, will your self-healing technology have access to the real-time and historical data it needs to work effectively? Over coming decades, there can be no doubt that self-healing automation will play a vital role in keeping business services running at optimum efficiency. As the technology continues to develop, it will become a must-have for companies that want to focus on growth and innovation – and not just keeping the lights on.